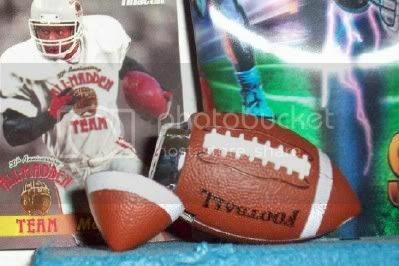 This football shaped lighter is cool. I just wish they had team logos on them. 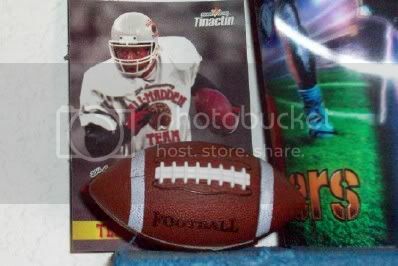 I am sure the plain footballs sell better then if they had team logos on them. It was about 6.00, like a dork I took of the label. It hit me the other day, I should leave to labels on since they have dates one them and stuff. The shape makes it hard to use, even with my little hands. You can see in the picture there is a 'trading card' behind to give you an idea as to how big it is. Wow, what a great lighter for the hubby, football hubby!!!!.... thanks for showing it. Enjoy your postings!